These creative chocolate molds from etsy.com are such a cool idea for Halloween parties. 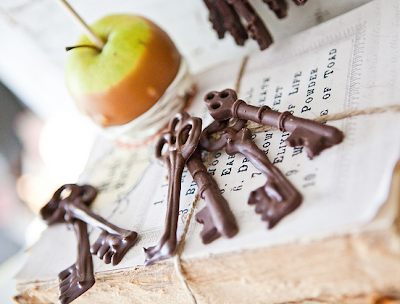 They make chocolate skeleton keys! You can display them around the house, or serve them on a tray.